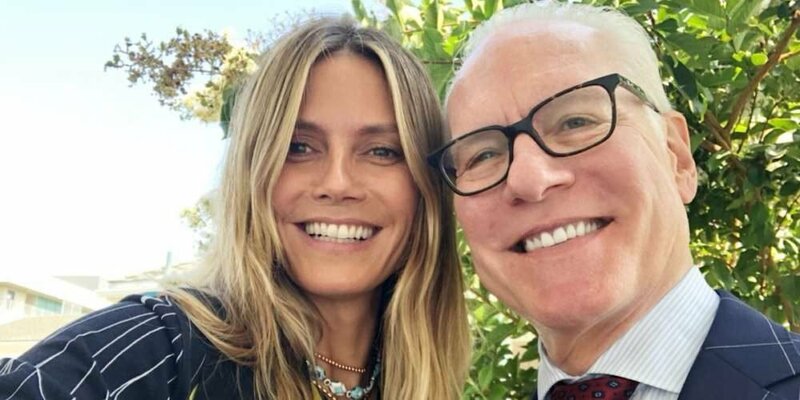 The Emmy-winning duo Heidi Klum and Tim Gunn shocked the world when they announced they’ll be exiting Project Runway. The reason? It’s because they’ll feature in Amazon’s new Fashion Show. The Emmy-winning duo has spent more than 16 seasons or a total of 14 years together covering Project Runway’s competition series. This time, however, the duo announced they won’t be returning for the Bravo revival. Instead, they are teaming up with the retail giant Amazon to produce a global fashion competition series, which remains untitled as of this writing. This, after Amazon reveals they’re building out their content studio and are spending money to produce original content. Aside from the Duo, the famous American fashion designer Zac Posen also announced he wouldn’t be returning for Bravo’s Project Runway. While some loyal Project Runway’s tv audience was saddened by the news, many customers all over the world were also excited to see them working with Amazon. They’re excited to see what changes they can bring in the fashion industry. However, Amazon still remains tight-lipped about the specific details of the new reality series. The only thing they shared was that it would make fashion accessible to a global audience. Aside from that, it’ll also offer a fresh view as the viewers get entertained by its unique storytelling, authenticity, and competition. Furthermore, several news outlets speculated that Amazon Fashion will create a one-of-a-kind fashion shoppable experience as it attempts to intersect content, e-commerce, fashion and technology. Despite the Duo’s exit, Gunn and Klum didn’t forget expressing their gratitude to Project Runway. Klum said she was honored to be part of this prestigious fashion show she helped create. She enjoyed hosting for the said show for the past 16 incredible seasons. Project Runway will always have a special place in her heart. She also thanked her millions of dedicated fans for sticking with her. However, Klum revealed that some journeys must come to an end while a new journey starts. So she’s saying ‘Auf Wiedersehen’ to Project Runway. She’s also grateful for the talented designers for sharing their creativity and brilliant masterpieces not only to her but also to the world. Despite her departure, she reveals this isn’t the end for her in the fashion industry. She’s excited to embark on this new journey with her dear friend and colleague, Tim Gunn in partnering with Amazon and they’re excited for everyone to see their new designs in the new reality show. Gunn also adds how he’s eternally grateful to Project Runway for putting him on this path in which he’d never imagined taking in his wildest dreams. It was like a blessing in disguise for him, but he couldn’t be more proud to be part of this show that showcased the fashion designer’s talent and creativity. He also reveals how he’s indebted to his fans for inspiring then in raising the bar of the fashion industry. The lessons he learned in Project Runway will surely be applied in their next great fashion adventure. Project Runway started in 2004 under the NBC Universal-owned cable network. The tv series was then moved from Bravo to Lifetime for the past 11 seasons. In 2016, Lifetime renewed Project Runway for three more seasons with The Weinstein Co. However, after Harvey Weinstein got plunged into controversy for mauling and abuse, TWC filed for bankruptcy and the contract for Season 16 airing was voided. Bravo tried to revive the series but it has yet to reveal the new sets of hosts and judges for the 17th season. Suffice to say that Bravo’s loss leads to Amazon’s gain as it competes with other tech giants like Apple, Facebook, and Netflix.